How do I order a transcript or enrollment verification? 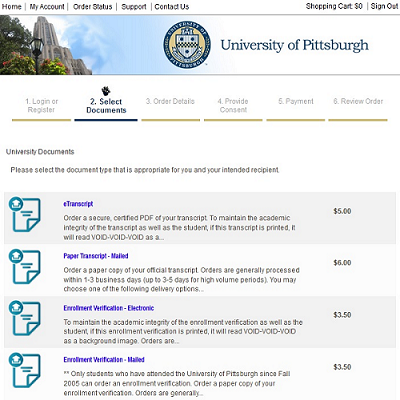 Order online through Parchment, the University's authorized transcript/verification delivery system. 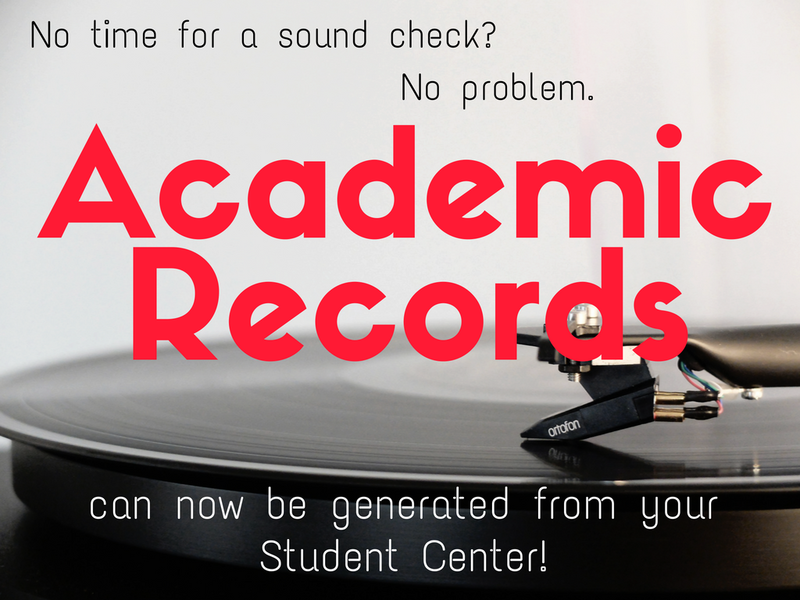 Visit the Transcripts/Verifications page for further instructions. You may also place an order in person at the Office of the University Registrar in G-3 Thackeray Hall, 139 University Place, Pittsburgh, PA. When is my enrollment appointment? To view your enrollment appointment date and time, log on to my.pitt.edu. Click on Student Center Login > Self Service > Student Center. Your enrollment appointment date and time will be displayed in the Enrollment Dates sidebar. If you were not assigned an enrollment appointment, contact your Dean's Office to request one. Enrollment appointments are not assigned for the summer term. Students can begin enrolling on the first day of the summer term open enrollment period which begins in February; check the current Academic Calendar for specific dates. For further details, visit the Enrollment Appointments section on the Enrollment page. Can I change my enrollment appointment? Enrollment appointments cannot be changed. Students who were not assigned an enrollment appointment should contact their Dean's Office to request one. Visit the Enrollment Appointments section on the Enrollment page for further details. Final exams are given during the last week of the term, starting on Monday at 8:00 a.m. and ending Saturday at 10:00 a.m.
Visit the Final Exams section on the Course/Class page to access the final examination schedules for each term. 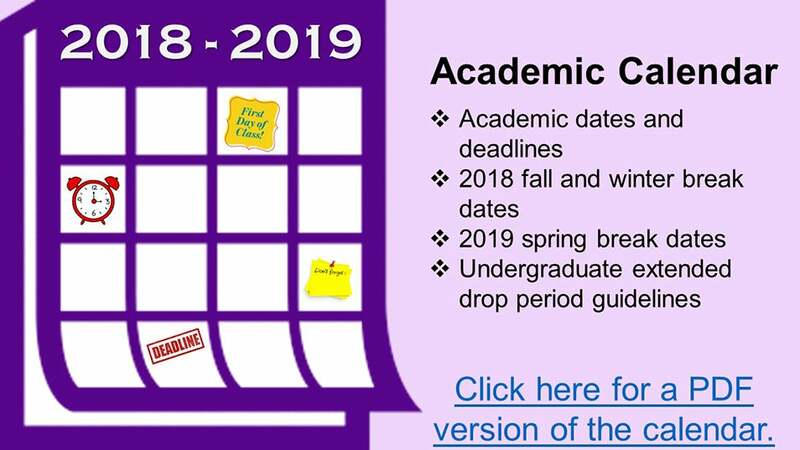 View the Academic Calendars for current and future terms on the Calendars page. How do I choose a preferred name? Log on to my.pitt.edu. Click Profile > Manage My Account > Contact Information > Click here to set your preferred name. At the "Do you want to set your preferred name?" prompt, click Yes and add your preferred first (and/or middle) name(s). For further details, view the Student Announcement .pdf regarding Preferred and Legal Names, and the Personal Information page. How do I enroll in a class if I'm active at another local university? Fill out the Cross Registration Request Form and obtain the needed signatures for approval. 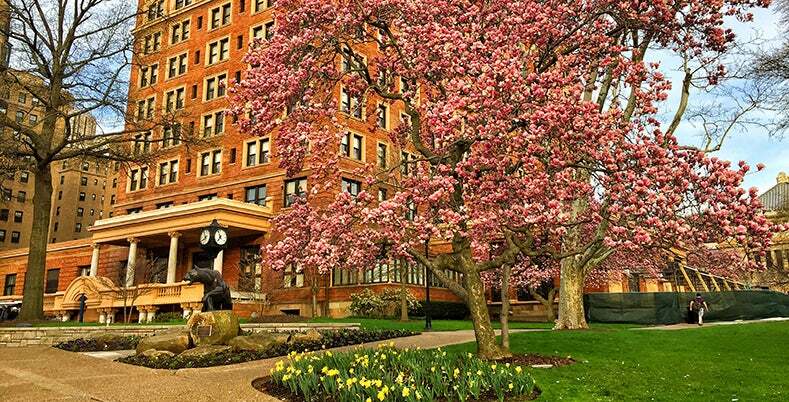 For information on participating schools and other details, visit the PCHE (Pittsburgh Council on Higher Education) Cross-Registration page. How do I view the schedule of classes? Visit Pitt PS Mobile Class Search to search classes by term, campus, subject, and additional options. 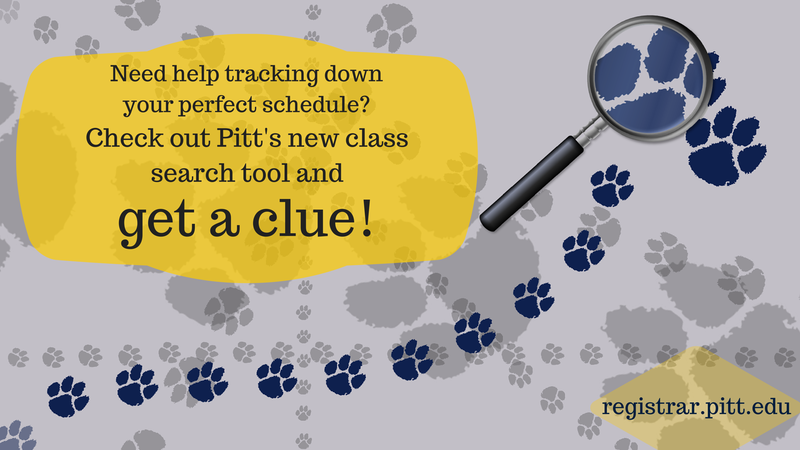 You can also search for classes by logging in to the Pitt Portal. 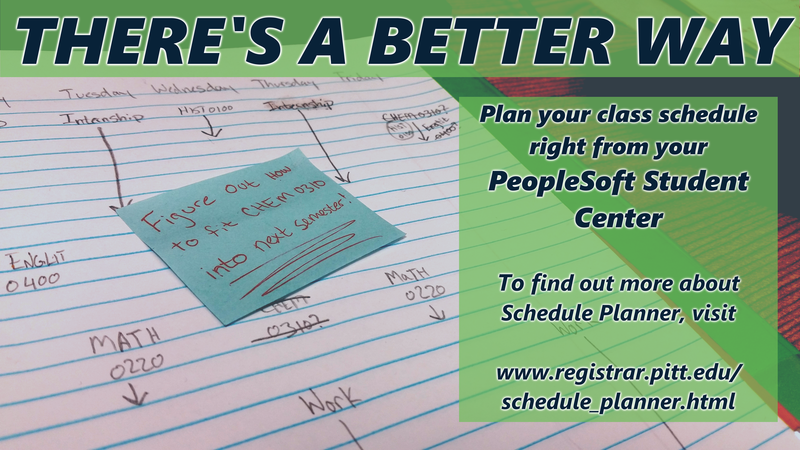 Click on Student Center Login > Self Service and choose Class Search or Browse Course Catalog. 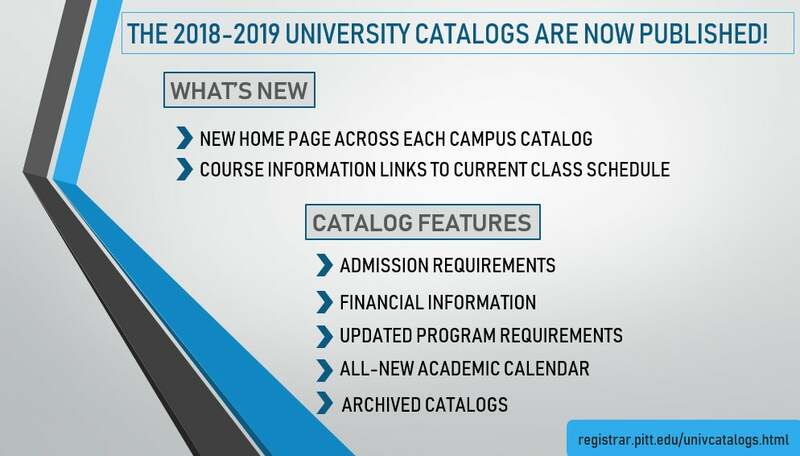 How do I access the University catalog?